This was my 3rd year attending the Shoreline Jam and it never ceases to amaze me. Everything from the music to the location to the people who attend this event. All coming together to make it a very special weekend. This two-day festival is held right next to the Queen Mary in Long Beach, so close to the water that boats pull up next to the shore to listen in. 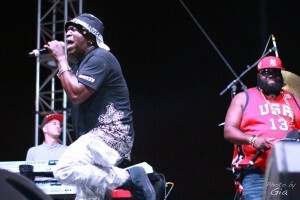 There were two main stages set up with various reggae and hip-hop artists performing from the early afternoon until almost midnight. The band Iya Terra started off the show the first day with a really cool vibe. 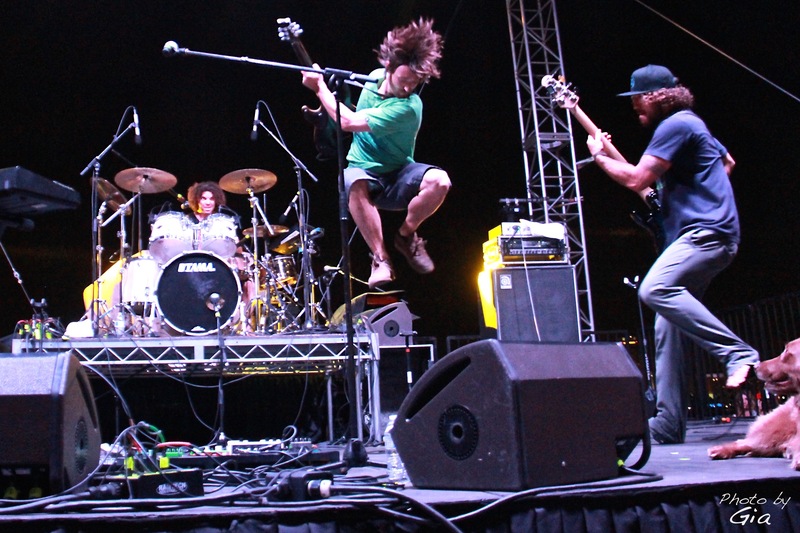 This was the first time I had seen this band and not only did they have an awesome and fun set to dance to and the band members were gracious enough hang out throughout the weekend discussing their modest beginnings and what playing a festival like this means to them. They are the most genuine people and they really love what they do. Definitely one of the highlights of the weekend. 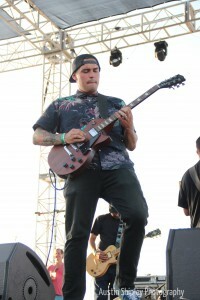 Later in the day the band Seedless performed. 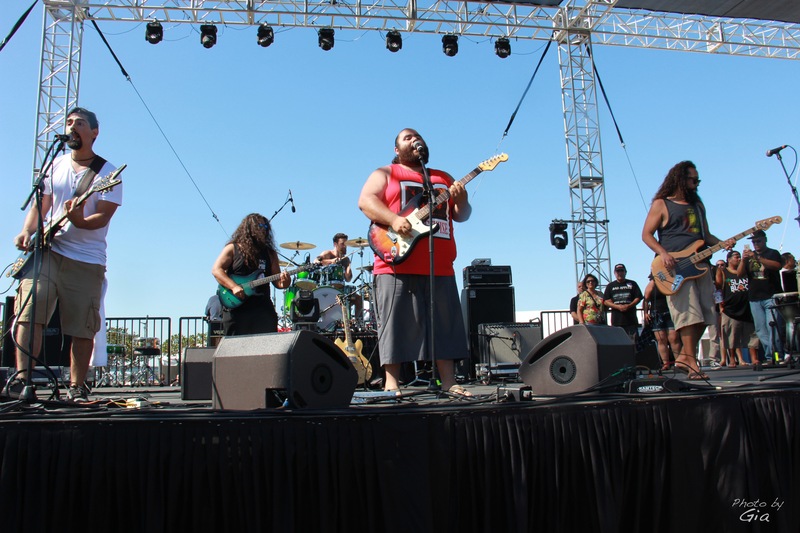 I like to think I knew this band before they were big so its always fun to watch this reggae band (with an obvious influence of rock) jam on stage. Next was The Grouch & Eligh who are originally from a rap group from in the late 90’s called “The Living Legends” and enjoyed modest success. They brought a great change of energy with their fast lyrics and booming base. After seeing them multiple times and I am continually amazed at how talented these guys are. 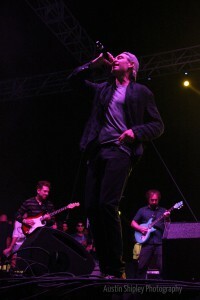 Matisyahu was the main attraction for just about everyone. The best word to describe him is poetic. 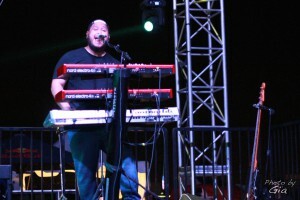 He plays straight through with little to no breaks between his songs making you lose yourself in his powerful music. There is no comparison to listening to his CD and then seeing him live. It is very trance-like and intense, but in the best way. It seemed like some people were a little disappointed because they wanted to dance more, but after a long day of dancing and running around Matisyahu closed out the first day of the Shoreline Jam perfectly. The 2nd day I was able to find a nice spot in the shade to watch the first couple of bands because the heat got to be a bit much. True Press and Bad Apples were the first two bands, both very high energy and great music to dance to. For Fortunate Youth it was time to get up front. They did not disappoint, their set was impressive. I had always heard good things about them, but after seeing them live I was sold. They make you feel like they’re just jammin’ at their buddy’s house party and you’re right there partying too. They got the crowd involved and on their feet. Next up was Shwayze. This was incredibly nostalgic for me because Shwayze was one of my favorite artists way back when I was 13-years-old, and this was the first time I had the opportunity to see him live. Another super high-energy performer so it was time to go dance with everyone else. 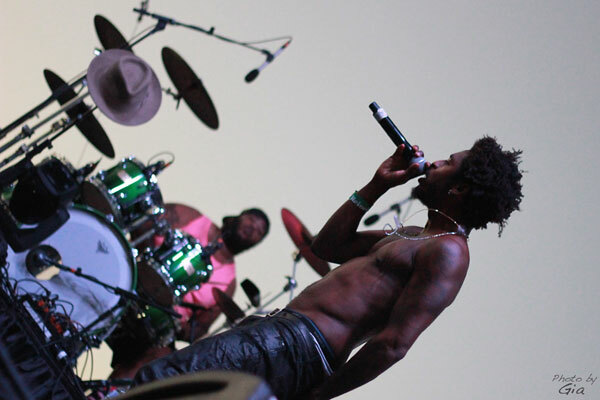 Thank you Shwayze, for taking me back to middle school with your classics, and introducing us to your new stuff. Next was Stick Figure, who I think many people would agree with me was the favorite of the weekend. I saw these guys for the first time at last years Shoreline Jam and have been a huge fan ever since. I’ve even run into them at other festivals with their tour dog, Cocoa, who is always close by. This band is so nice, always willing to take the time and chat with you. 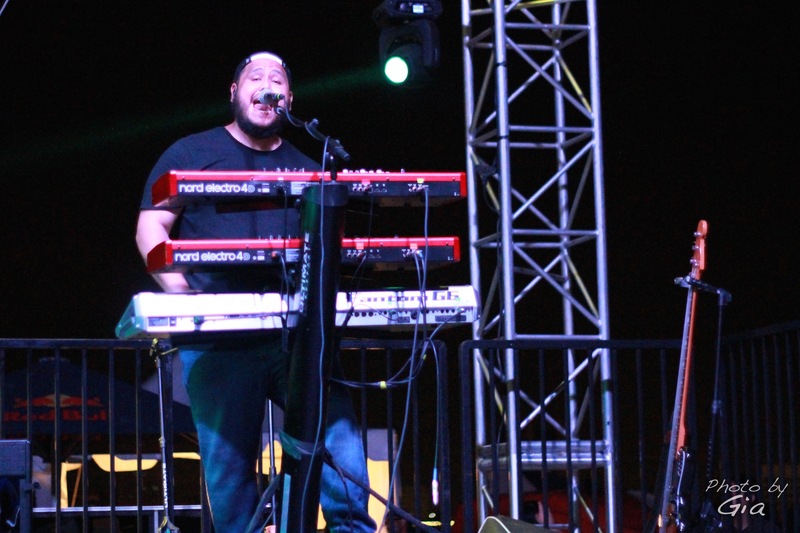 Their music brings a huge positive vibe bringing everyone to their feet and dancing. I feel like this band just gets bigger and bigger and before long they will be headlining a festival. One of the performers I was looking forward to most was Barrington Levy. He is a reggae legend and a riot on stage. He had me cracking up at his humorous mannerisms and I was definitely not disappointed at his performance. He had the whole audience smiling ear-to-ear. The band The Green was the festival headliner. 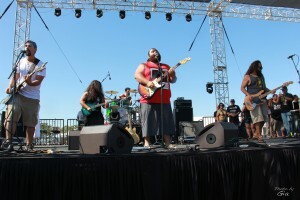 They are a reggae band from Oahu and this was the first time seeing them live. With everyone exhausted from the previous two days, they still had everyone dancing their entire set. They brought a really great energy sending everyone home happy and wanting more. This festival is rapidly becoming a tradition. It will hopefully continue to become a destination for this type of music to reach a great audience cross section of the community. People coming from all over the state and country to see who will be at this festival. To view a full compliment of photos click here.